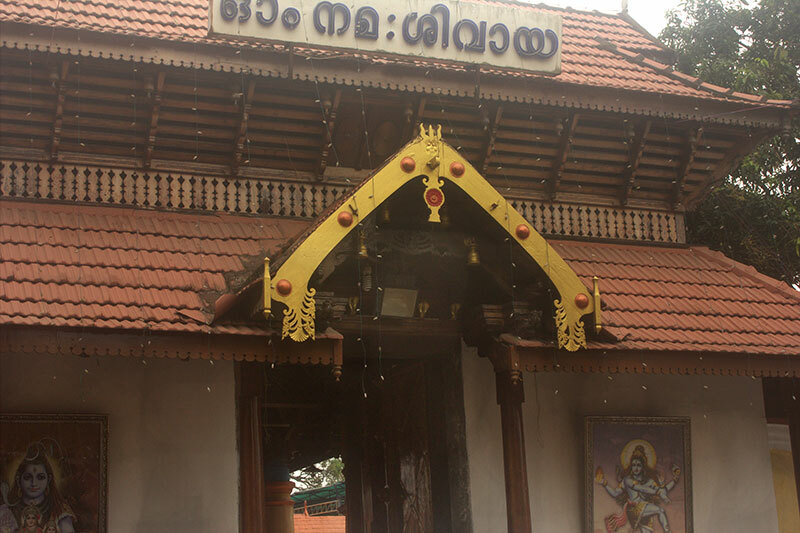 Ernakulam Shiva Temple is in the heart of Ernakulam city. The deity is well-known as Ernakulathappan. The 8-day long annual festival at the temple usually falls in January/February months. On the seventh day, there is Pakalpooram, when the deity is taken out in a grand procession with caparisoned elephants and to the accompaniment of Panchavadyam. The procession ends at Durbar Hall Ground after rhythmic Pandimelam and impressive fire works. 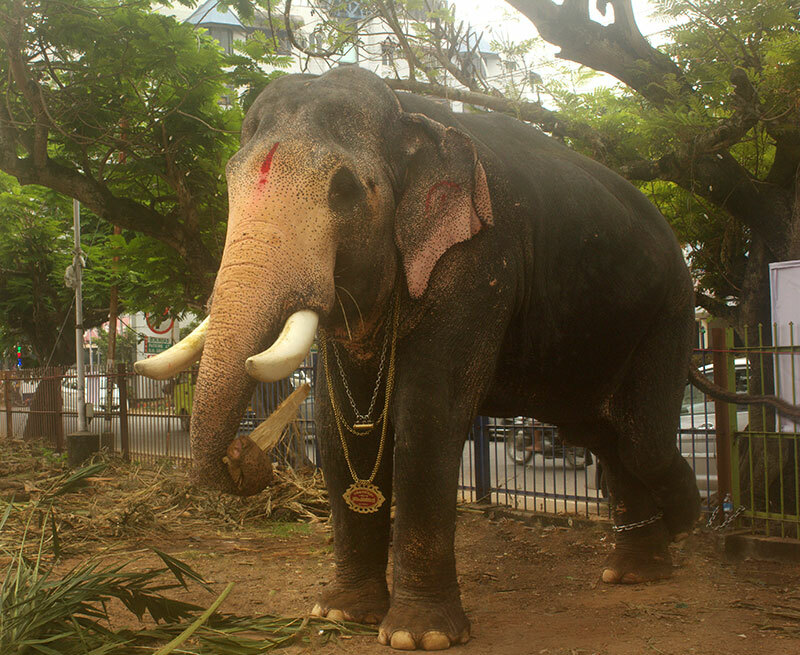 One of the elephants in the procession was Brahmadathan who has many fans in Kerala. He has a Facebook page which is liked by 6,643 people. 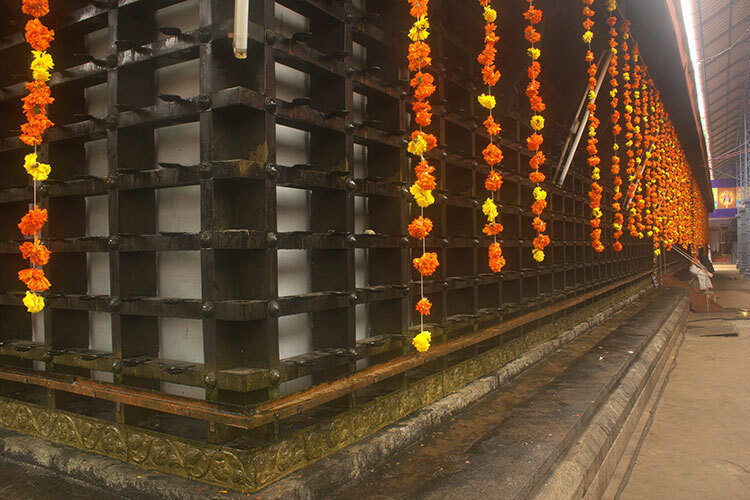 The temple is decorated with flowers during the festival. Many art events are also organised.